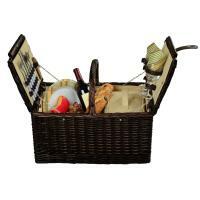 Whether you're enjoying a wine and cheese picnic or an afternoon hike, our picnic baskets for 2 are guaranteed to fulfill your needs. 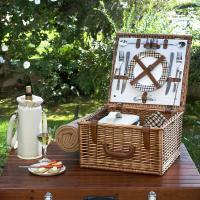 Pick from a collection that merges fashion and function, with picnic baskets for 2 ranging from caramel-tinged willow to elegant wood designs. 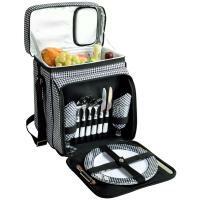 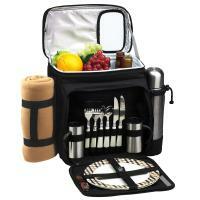 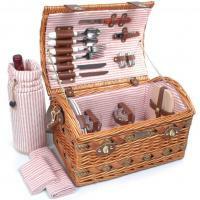 Just as diverse are the options inside: Want a picnic basket with BBQ tools? 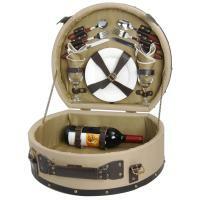 Or, maybe just something to transport a bottle of wine? 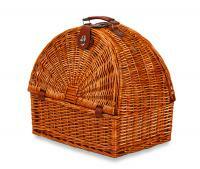 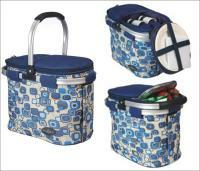 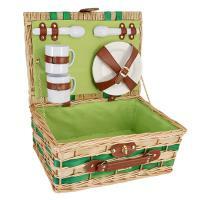 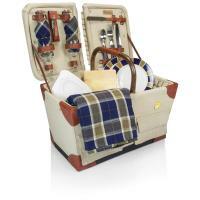 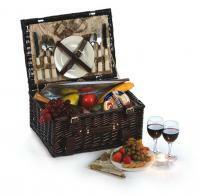 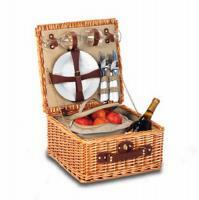 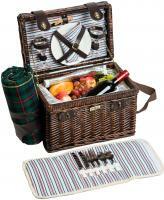 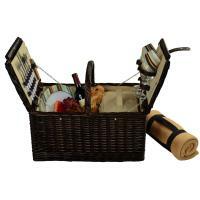 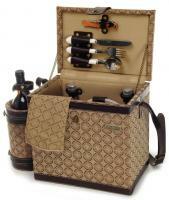 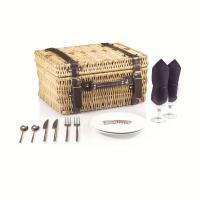 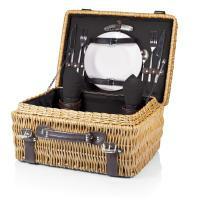 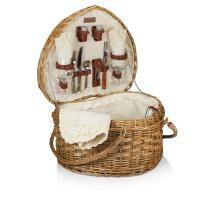 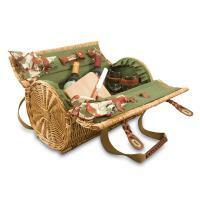 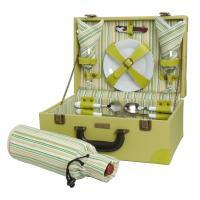 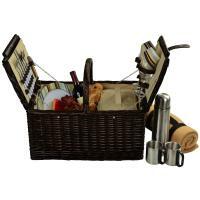 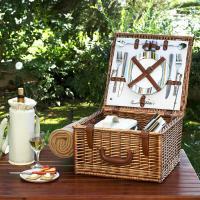 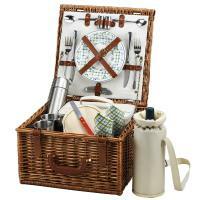 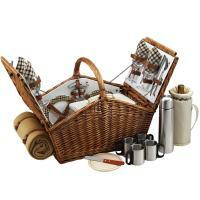 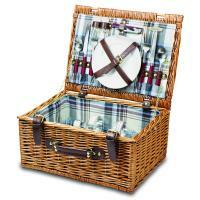 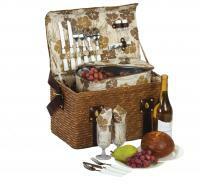 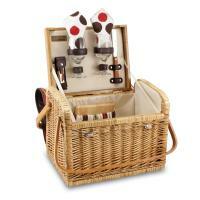 Our picnic baskets for 2 come equipped with a variety of handy accessories. 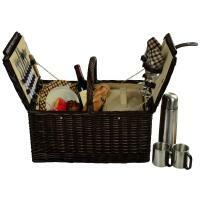 Features such as porcelain plates, bottle openers and wine glasses are the norm, while specialty picnic baskets contain items as diverse as martini glasses and fold-out tables. 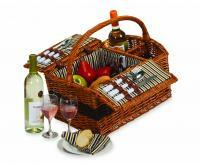 When it comes to form, our picnic baskets for two range from oval-shaped shoulder bags to square bamboo baskets, all designed to give you maximum comfort and storage space, while keeping your picnic supplies fresh and secure.